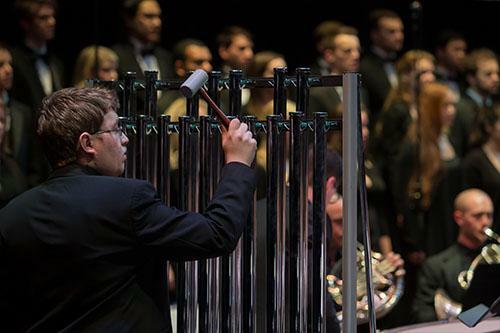 Students studying in the Percussion studio have many opportunities to participate in School of Music ensembles, such as Jazz Ensembles, Bands, Orchestra, and Percussion Ensemble. Students in any of our degree programs can pursue private applied study in the Percussion studio. 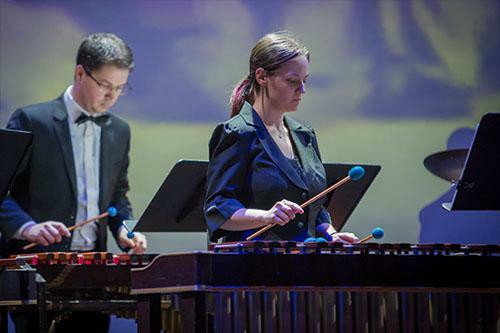 Alumni of the Percussion studio go on to careers as professional performers, music educators, composers, and more. Percussionists can perform with large ensembles like our orchestras and bands. The Percussion Ensemble performs music from a variety of musical traditions. 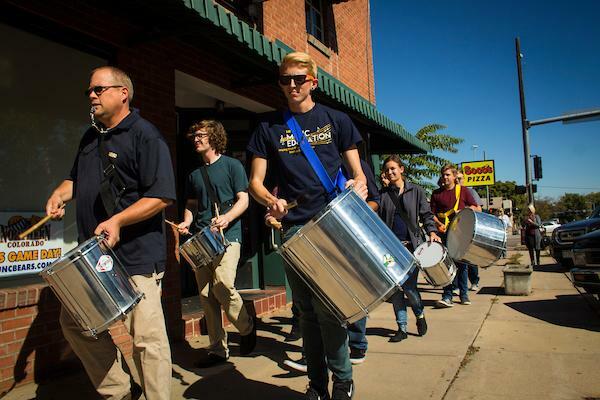 Percussionists have the chance to perform at both on and off-campus locations. Professor Mike Truesdell performs Javier Alvarez's "Temazcal" at the 2016 UNC School of Music convocation.